We have today made an announcement about the plans for our North Campus, regarding our search for a development partner for the site. We are at the beginning of an exciting journey as we look forward to finding a partner to help us deliver our vision for an outstanding new community, on the last site of its size and scale yet to be developed in the city centre. The project, which we are calling ID Manchester (the name represents Innovation District (ID) Manchester and is for the purposes of marketing – the name may change once a development partner is on board) will build upon the proud history of bold ideas, discovery and invention established by the University. It will attract the most forward-thinking, like-minded individuals and businesses with the chance to establish their UK HQ, start up or scale up their company, take on and benefit from disruptive technologies and ideas or simply come and enjoy this inspirational space. You can read more details of the announcement below and we will keep you updated on progress. Today, The University of Manchester has submitted a PIN (Prior Information Notice) to the Official Journal of the European Union (OJEU), to begin pre-market engagement as part of its search to find an investor and development partner to deliver a new c.£1.5 billion Innovation District in Manchester City Centre to be called ID Manchester. 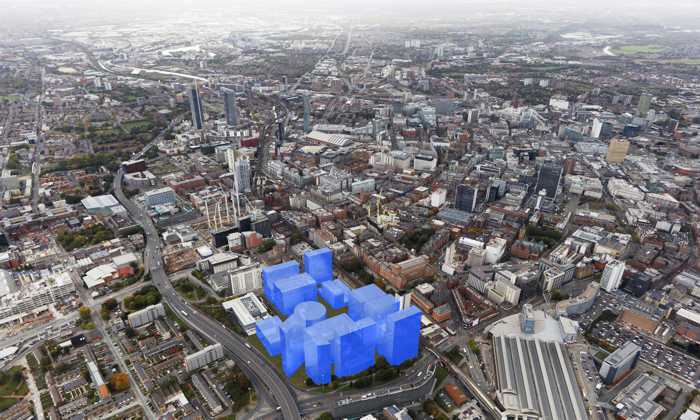 The University of Manchester’s vision is the 26 acre (10.5 hectare) ID Manchester will be a dynamic, world-class community with innovation, collaboration and enterprise at its heart, with the potential to create over 6000 new jobs.